Every time you visit us at Mid Wilshire Dentistry, we do our absolute best to serve you and provide you with the best possible dental care. But our professionals are only part of the equation. In order to maintain proper oral health through the entire calendar year (and not only for the two days you have your bi-annual checkups), but you also have to adhere to the basics of oral hygiene while at home. And while these tenants are relatively simple, there are a few specifics that are worth mentioning in each of them. • Brushing Twice A Day: Everyone knows this one, but you’d be shocked at how many people still fail to follow it. Brushing rids your teeth of the plaque and bacteria that build up on your teeth throughout the day and night, which prevents tooth decay and bigger problems down the road. As you brush, make sure you take your time and hit every spot, but don’t go overboard on the pressure. You want to brush — not scrub — otherwise, you could damage your gums. • Flossing daily: Since the structure and alignment of your teeth provide for many grooves and hard to reach crevices, flossing is an integral part of keeping your mouth healthy. Plaque buildup between your teeth can do just as much damage as when it’s on the visible surfaces of your teeth, so when you floss, make sure to do it in a back-and-forth motion as opposed to an up-and-down one. • Using fluoride: For most people, fluoride is included in their tap water. But it’s always a good idea to use a fluoride toothpaste and mouthwash as part of your routine as well. 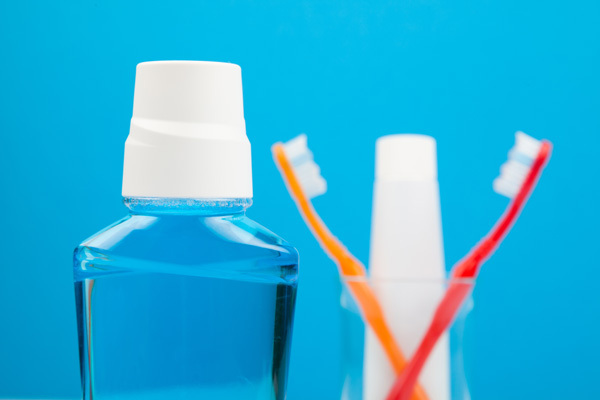 Maintaining good oral hygiene is largely about the basics, and if you follow those closely, your trips to Mid Wilshire Dentistry are bound to be a lot more pleasant.